WASHINGTON: US President Donald Trump and Japanese Prime Minister Shinzo Abe discussed North Korea by phone on Monday and confirmed they would meet before an expected US-North Korea summit, the White House said. 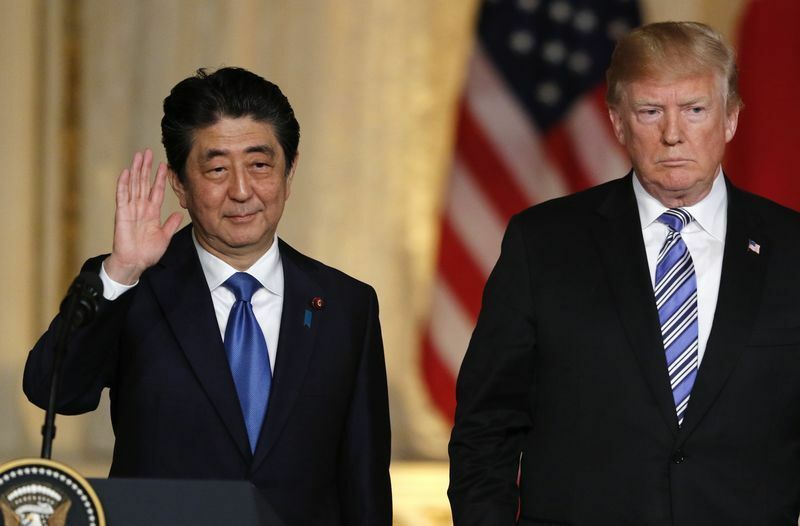 Earlier, Japan’s Kyodo news agency quoted Abe as saying that the two leaders had agreed to cooperate to make the summit between the US president and North Korean leader meaningful. Trump last week pulled out of the summit with Kim, planned for June 12 in Singapore, before announcing he had reconsidered and that US and North Korean officials were meeting to work out details. A “pre-advance” team of US officials has also traveled to Singapore to meet with North Koreans there, the White House said. While both Trump and Kim have appeared eager to hold the summit, the two sides have remained far apart on the key issue of denuclearisation, with North Korea rejecting US demands for it to unilaterally abandon a nuclear weapons program that now threatens the United States.